Public safety is everyone's concern and responsibility. There are many when people whose main responsibility is to ensure public safety are faced with difficult challenges. One of those challenges is downed power lines. Downed power lines are not only a safety threat but power outages radically effect the entire populous. 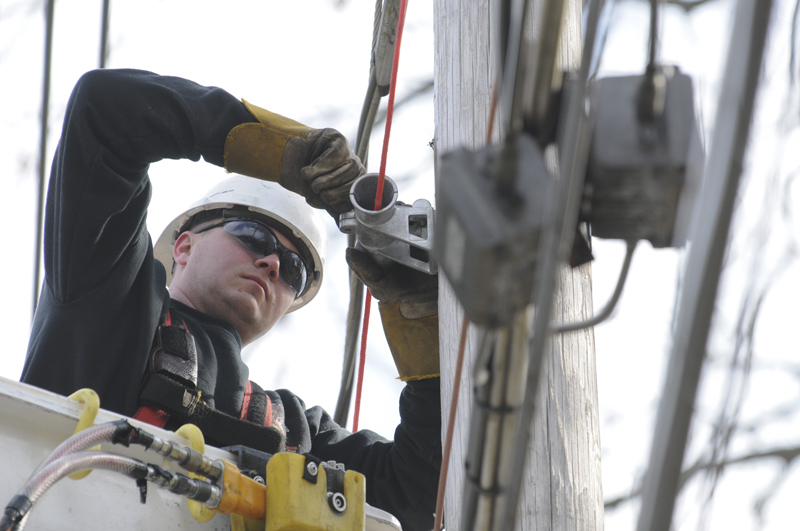 Municipalities and power companies often turn to the professionals of ElecComm to rapidly address downed power lines. Downed or damaged power lines pose serious threats to the public. As soon as a downed power line is seen, companies repairing downed power lines should be called right away so that expert electricians can come over and see what they can do about the situation. There are several reasons as to why and how electric power could be knocked down. It is commonly due to severe weather conditions such as storms and hurricanes which result in broken utility poles and broken power lines lying on the ground. These downed lines may still be live and can cause electrocution to any passerby. That is immediate power line storm response service is imperative. They can prevent these threats from happening and these cases from worsening. The earlier the remedy, the better. Immediate restoration of power in the affected area is vital. Businesses resume normal operations thereby sparing them from any further financial and opportunity loss. Having poorly maintained electric poles and power lines is definitely a recurring threat to the continuity of power service. It is equally important for municipalities and businesses to conduct regular repair and maintenance to overhead power lines in Wilmington, MA as part of safety procedures of power utilities. Doing so will help ensure that the power lines are a hundred percent up to standards and so related accidents will be kept at bay. To find out more about the importance of repairing downed power lines for public safety, contact ElecComm. Since the dawn of the internet, the technology has become a staple for every business. Strong and stable internet connection is foundational to gaining cutting edge competitive advantage. Because of this, the business telecommunication network engineers in Plymouth, MA are continuously finding ways to develop and improve their systems. These networks are not just all about having reliable service but also deliver upon the ever increasing need for increased band width. Recent innovations empower telecommunication engineers to employ fiber optic splicing for both new and network enhancement configurations. Given the growing number of businesses that have become highly dependent on the internet, fiber optic splicing was developed as a solution to such increasing need and demand for a better connection and transmission. Switching from copper wires to fiber optic cables guarantees better bandwidth without jeopardizing the speed of transmission. With the help of these fiber optic cables, increasing bandwidth and keeping the connection stable have become a breeze. 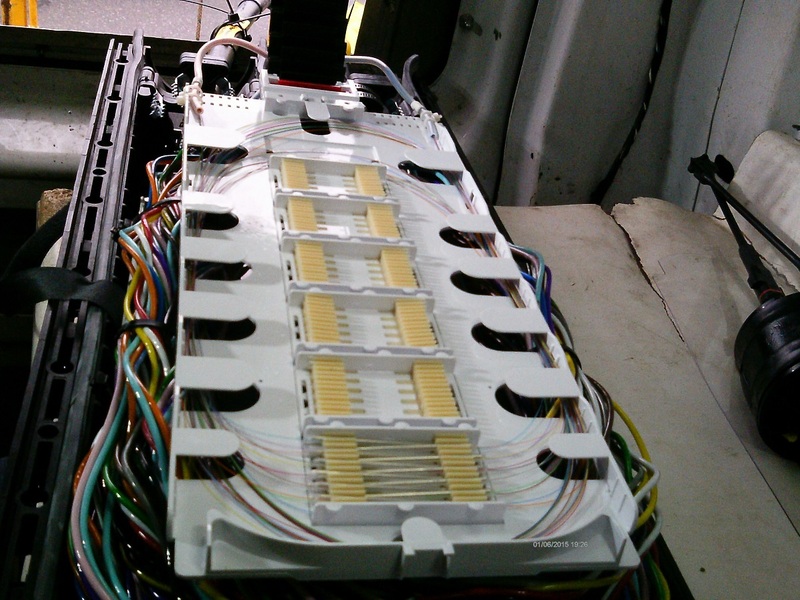 Incorporating fiber optic splicing during telecommunication network design installations is imperative when one wants to achieve faster and higher bandwidth. It is important to note that when switching to fiber optic cables, the assistance and service by the experts in the industry are as equally important. This method is new and should only therefore be performed by a professional. This is to ensure that the cables are perfectly spliced according to the configuration unique to your application. Otherwise, these fiber optic cables or the telecommunication networks as a whole will not serve their purpose. To find out more about how businesses can benefit from fiber optic splicing in telecommunication network design installation, contact ElecComm. Increasing municipalities are implementing underground high voltage cables because they are ultimately more practical and cost effective when compared to overhead power lines. The predominance of underground high voltage lines’ value corresponds to dramatically reduced maintenance costs. Given the innovative techniques in detecting and repairing faulty underground high voltage cable networks (UHVC networks), repair and maintenance can be accomplished efficiently by experts which means less downtime is only needed for any of these services to be done. Our underground power line solutions never stop improving over time. Major utility companies, communication service providers, and others find it more practical to run high voltage cables underground due to the improved safety of the assets vs overhead line installation. 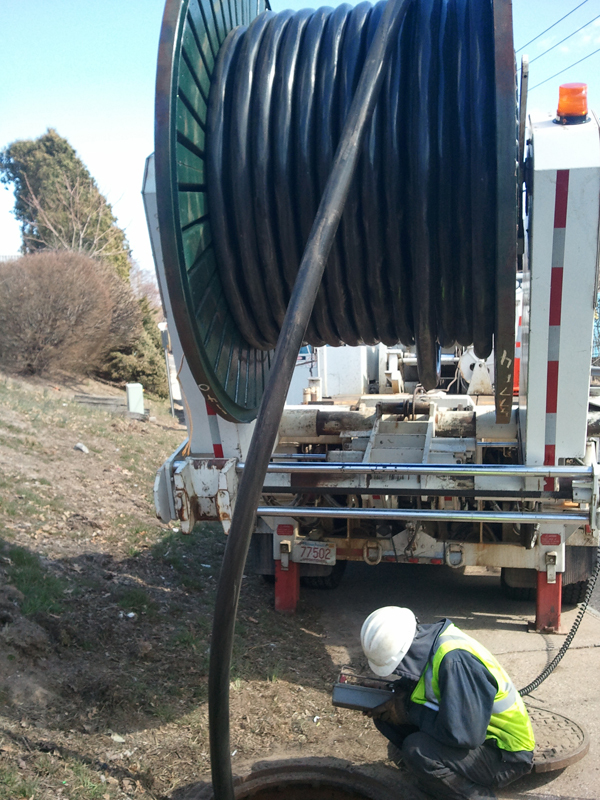 The professionals at ElecCom excel at underground high voltage cable installation across all of Boston, MA. We serve the smallest of Boston companies to the largest to include NSTAR Electric, Western Mass Electric, National Grid, and many others. To find out more about cost-effective, safe, and reasonable solutions to underground high voltage systems, contact ElecComm. Fiber optic splicing is a high-demand telecommunication network systems support service. Data communication network degradation simply can’t be tolerated in today’s competitive business environment. For a host of reasons, sub-sections of a data networks become problematic which require professionals to quickly isolate and apply mechanical fiber optic splicing. Our mechanical fiber optic splicing services here in Boston, MA perform a similar function to conventional cable splicing but with one major difference. Fibers are merge together by mechanical coupling rather than using welding techniques for non-fiber cables. In a mechanical splice, two cleaved fiber tips are mechanically aligned to each other by a special housing. The protective housing ensures fiber ends are steady and enable signals to stream freely between them without difficulty. No power supply is required. A good alternative in cases where fusion splicing is not viable. It can be done within a couple of minutes and is ideal for temporary connections. For more information about mechanical fiber optic splicing, contact ElecComm. The rise of residential and commercial construction in today’s economy is simply remarkable. The demand for commercial power infrastructural support and new electric line construction is equally on the rise as aging electrical infrastructure approaches the end of its lifecycle. The electrical professionals at ElecComm are the trusted source for new construction projects throughout the greater Boston area in need of new supporting electrical infrastructure. Commercial and residential expansion electrical needs are not limited to electric line. Phone lines and internet connections are also core to new developmental projects. So in addition to underground high voltage cables we support your development project with electrical services of any kind. 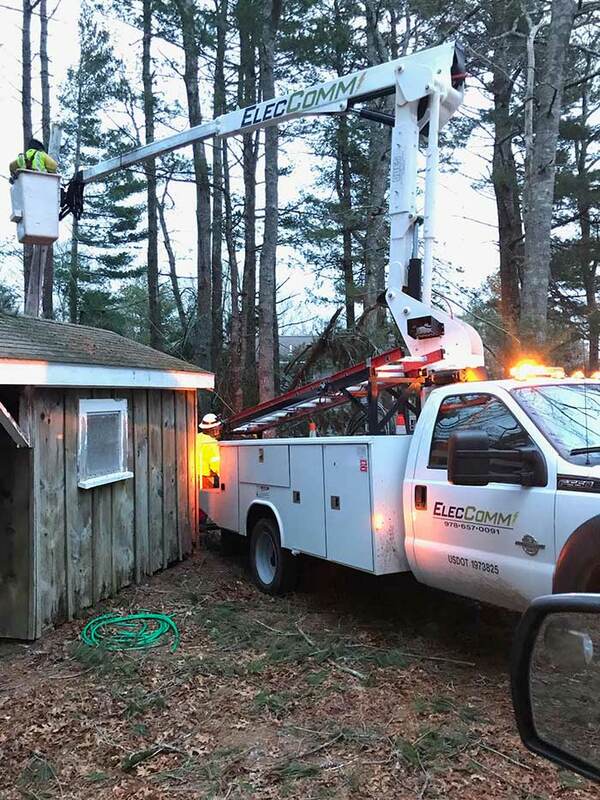 For large scale electric construction works across New England, ElecComm is (and has been) the trusted source provider for decades. Our crews are certified electrical technicians and linemen with proven years of experience and excellence in the field. We guarantee quality service and timely delivery of all our electric construction services. Don't hesitate to contact EleCcomm for your new electric line construction or current infrastructure reinforcements. Golf courses are increasingly being located in close proximity to residential and commercial areas. Although these areas are strategic for the course owners and the golfers themselves, close proximity to commercial and residential buildings pose risks to neighboring facilities as errant golf balls can and will cause damage and/or personal injury. Course managers must ensure that sturdy and reliable golf range netting must adequately partition golf range and errant shots from going outside the course. When high quality golf driving range netting is needed, ElecComm is your go-to. We provide installation of poles and netting for golf driving ranges and golf courses along with replacement netting. We only use premium quality range nets to ensure errant golf balls to stay inside the golf area. We also make sure that the golf netting system is well-constructed and securely installed as an effective preventative measure against injury or property damage associated with stray golf balls. We guarantee that our golf range netting set-up can hangs tough against constant strike of heavy golf balls, harsh weather conditions, exposure to environmental elements, and other stresses. Since diverse golf ranges have different needs and dimension requirements, we accept design customization. 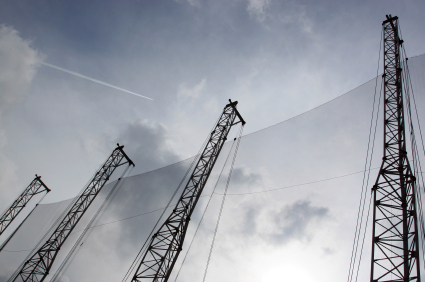 For more information about our golf range netting services, contact ElecComm. It is undeniable that the internet made numerous trades and dealings quick, convenient and efficient. No wonder various transactions nowadays are done through the internet. Precisely for this reason, a telecommunication network failure for a long duration of time is intolerable particularly in the business sector. Any telecommunication network outage results at the very least lost productivity from your work force. Any prolonged network outage renders a situation of not only lost staff productivity but other forms of revenue killing effects of network denial of service. When your business network goes down, your first call should be to ElecComm’s telecommunications repair team to promptly restore connectivity and return to profitable business operations. You can count on ElecComm's 24/7 telecommunication network repairs and services because we’ve been delivering professional network restoration services for decades. ElecComm team is comprised of certified technicians who are skilled and equipped with specialized tools and devices for troubleshooting and repairing telecommunication network outges. Aside from doing maintenance and repairs, you can also tap our team for communication line construction, splicing, testing maintenance and restoration of fiber, copper, and hybrid fiber-coax telecommunications networks. So the next time you need assistance on telecommunication network system in Boston, MA, contact ElecComm. The demand for reliable/uninterruptable power systems is driving the ever increasing need for underground transmission lines. 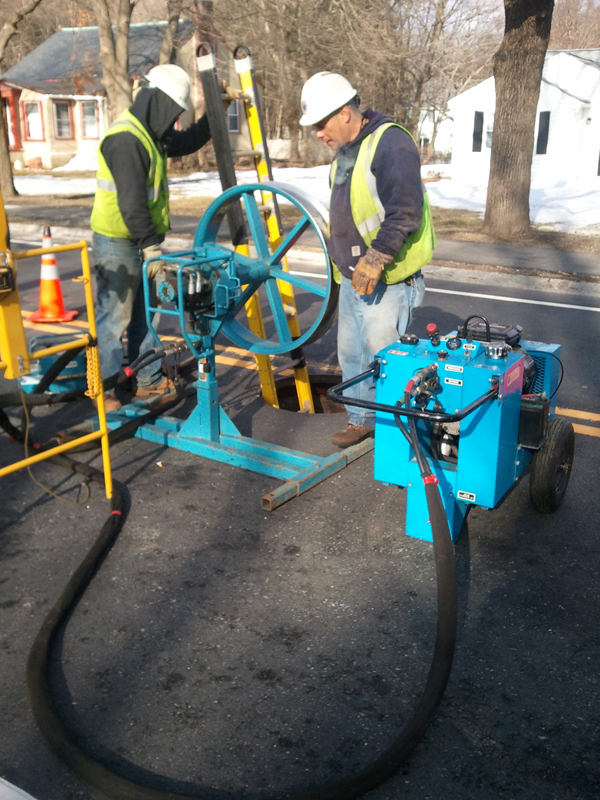 Underground high voltage system installation services is an ElecComm core competency and has been for decades. In addition to the core need for eliminated environmental-caused power line failure, municipalities and business entities choose to burry cables to eliminate the “eyesore” of above ground power lines. Municipal planners increasingly prioritize the natural beauty of their community. We help beautify communities in Boston and across the greater New England area. Our underground high voltage cable systems incorporate upscale protective gears and advanced fault detection systems. In the event of critical scenarios, engineers can promptly take action because electrical glitches can be accurately monitored using innovative time domain reflectometry device. ElecComm is the team you can count on in terms of expertise in underground high voltage cable system. If you are interested in upgrading your electrical infrastructure, we can assist you with the new layout, installation and maintenance. We have the right skills and equipment to perform the job. Contact ElecComm to find out more about underground high voltage cable system. Golf course managers need to stay ahead of their member’s game. That means making course upgrades as required throughout the calendar year. Winter is the perfect time to assess course safety equipment such as poles and nets. Winds, wildlife, and cold weather are just a few things that take their toll on your course’s safety measures. ElecComm’s golf course poles and netting provide the long-lasting protective barrier between errant shots and innocent bystanders. In today’s litigious society, one of the first things injured parties investigate is the condition of basic course safety equipment. Course managers want long-lasting poles and nets to prevent avoidable injury to people and damage to personal property. The strategic layout and placement of poles is critical to properly secure the entire golf range. ElecComm is there for any course manager’s need for pole installation and netting. For more details about our golf course protective netting and pole service, contact ElecComm today. In today’s high-tech business environment, your business’ data network is by default one of your single most valuable business assets. IT managers keep a keen eye for data network upload and download speeds. Accordingly, increasing numbers of New England business owners turn to us here at ElecComm for telecommunication network maintenance. We have a proven track record of delivering faster and more stable internet connection via our fiber optic splicing expertise. Fiber optic splicing empowers you to remove data “bottlenecks” from your business’ data network. Fiber optic cable is sensitive equipment that can and does break and most often at the worst possible time. 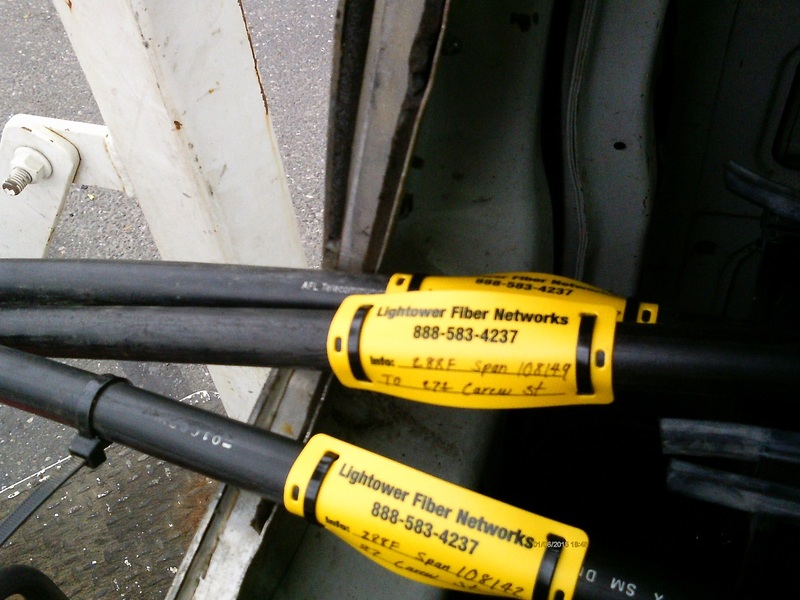 We specialize in installing and maintaining fiber optic telecommunication networks. Advanced fiber optic telecommunication network design and installation is a highly technical undertaking that requires the expertise of certified technicians. It is important to tap certified technicians to handle your job. If you need (or even suspect) a need for telecommunication network service, contact the proven telecommunication network professionals at ElecComm.